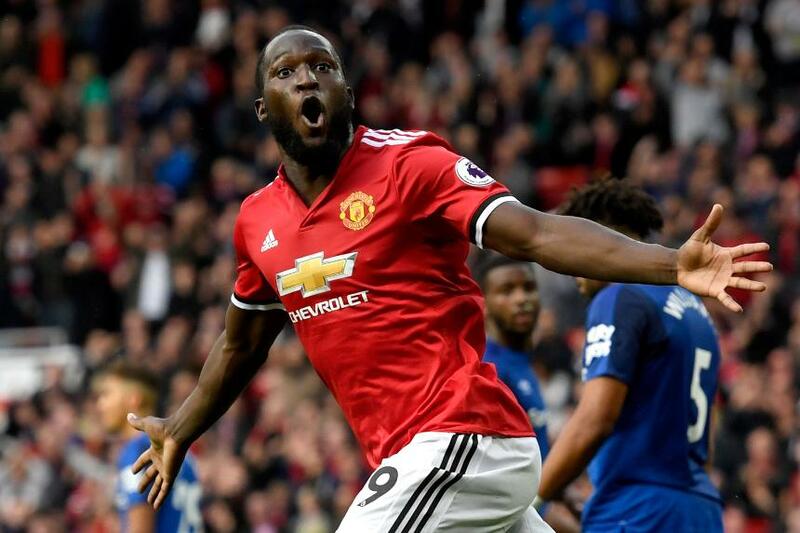 Three goals in the last 10 minutes helped Manchester United go level with Manchester City at the top of the Premier League with a 4-0 win over Everton. United led through a spectacular strike by Antonio Valencia, from Nemanja Matic’s cross, after only four minutes. Wayne Rooney, facing his former club, shot wide for Everton in the first half and was denied by David De Gea at the start of the second. Everton’s resistance faded when Henrikh Mkhitaryan doubled the lead, converting Romelu Lukaku’s pass on 83 minutes. Lukaku made up for a missed chance on 26 minutes with an 89th-minute effort from Jesse Lingard's pass. Anthony Martial converted a stoppage-time penalty after a handball by Morgan Schneiderlin. United are level on 13 points with an identical record to City. Everton are 18th.